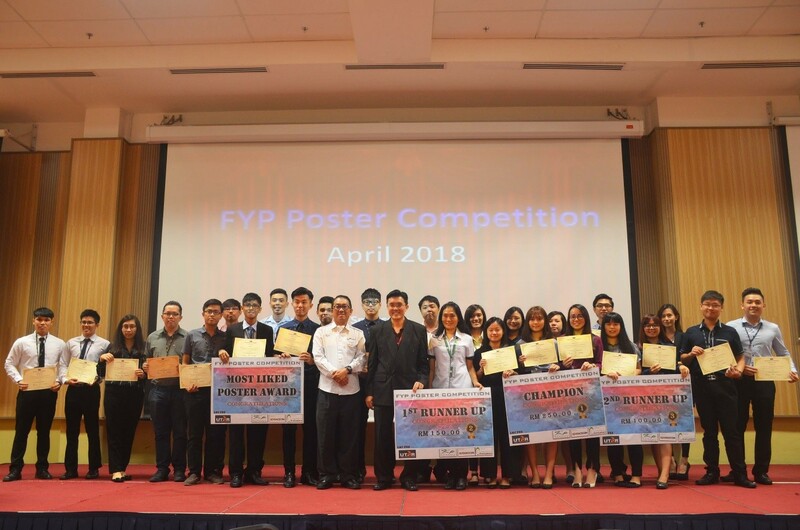 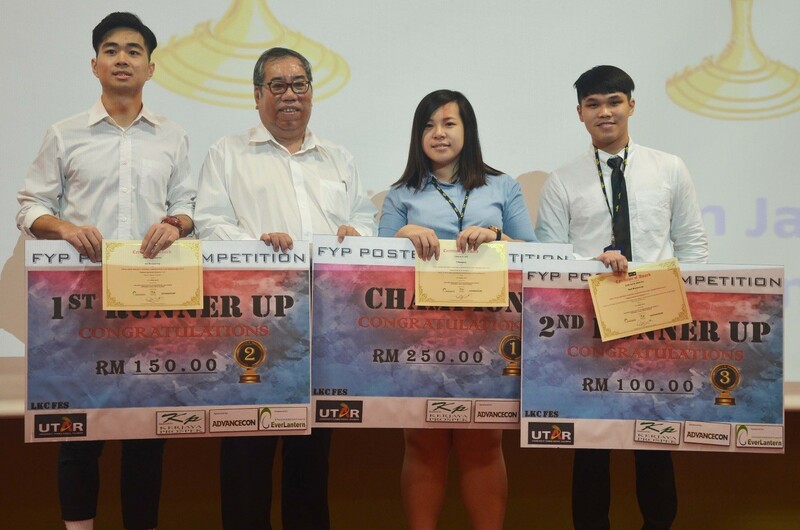 The Lee Kong Chian Faculty of Engineering and Science (LKC FES) Final Year Project (FYP) Committee together with IEM Student Chapter organised an FYP poster competition on 11 April 2018 at Sungai Long Campus. 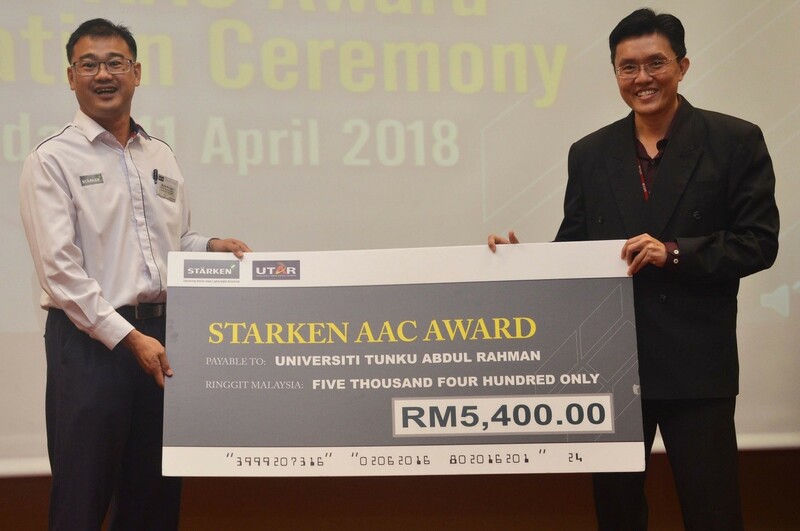 In conjunction with the competition, the event also saw the presentation of sponsored awards by Brunsfield and Starken AAC. 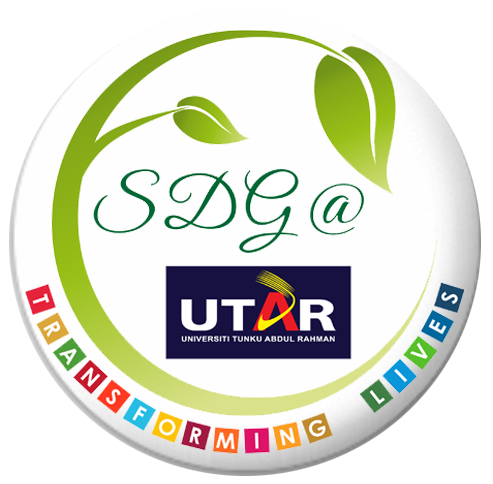 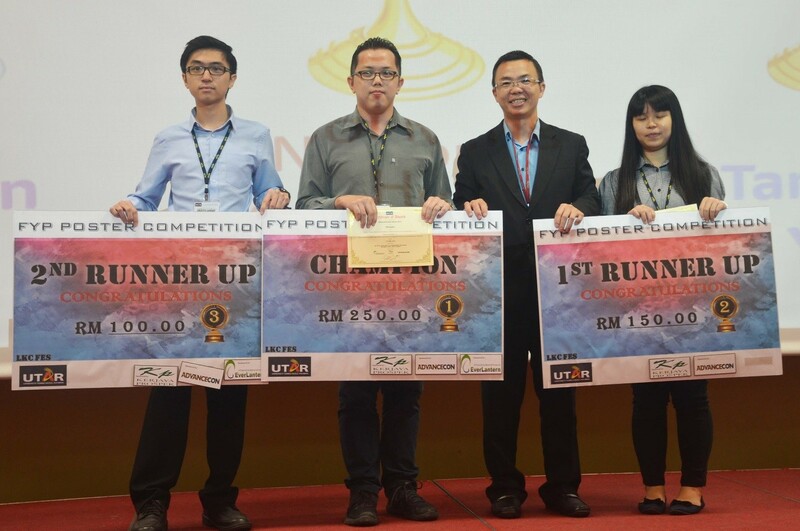 The event aimed at encouraging students to pursue research excellence and to cultivate creativity. 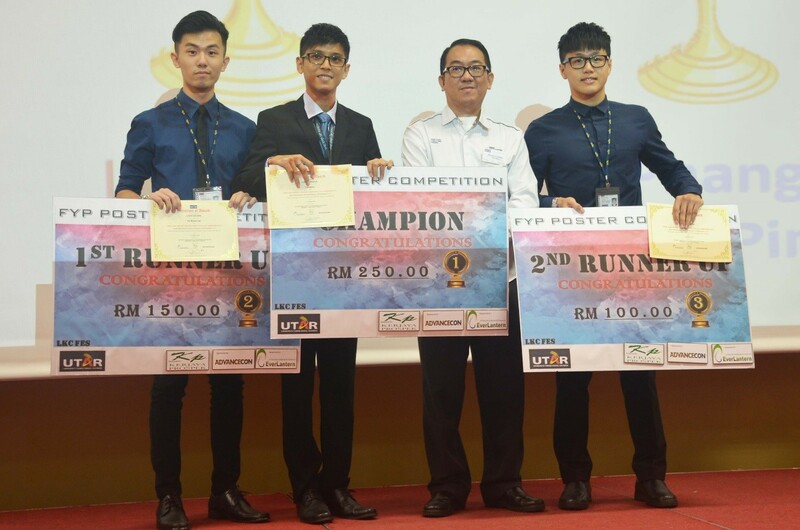 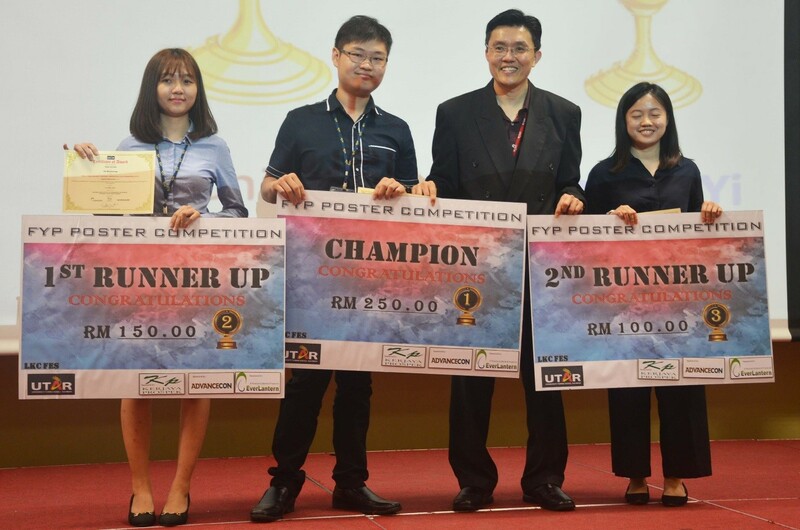 The FYP Poster Competition was sponsored by Advancecon Infra Sdn Bhd, EverLantern Trading Sdn Bhd and Kerjaya Prospek (M) Sdn Bhd. 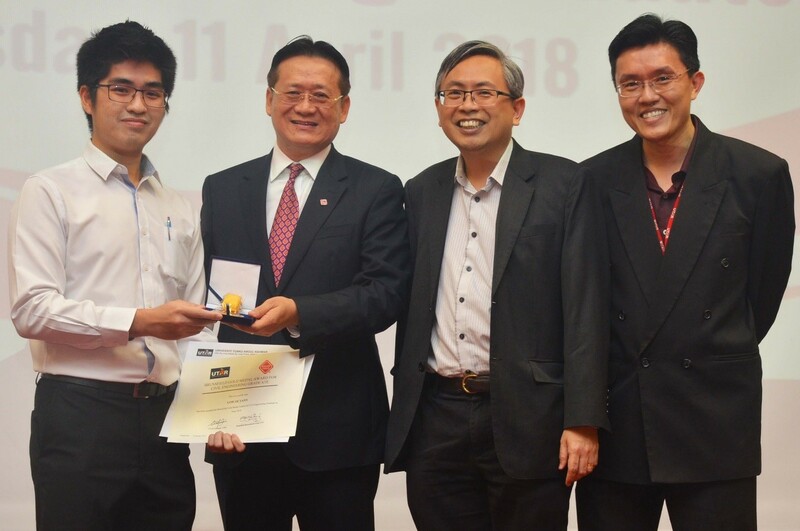 Present at the event were UTAR Vice President for Internationalisation and Academic Development Ir Prof Dr Ewe Hong Tat, Brunsfield Group Managing Director Tan Sri Dato’ Dr Ir Gan Thian Leong, Starken AAC Chief Executive Officer (CEO) Ng Wai Luen, Kerjaya Prospek (M) Sdn Bhd Executive Director Datin Toh Siew Chuon, Advancecon Infra Sdn Bhd Human Resource and Administration Manager George Yap, LKC FES Dean Ir Prof Dr Goi Bok Min and FYP Committee Chairperson Dr Stella Morris. 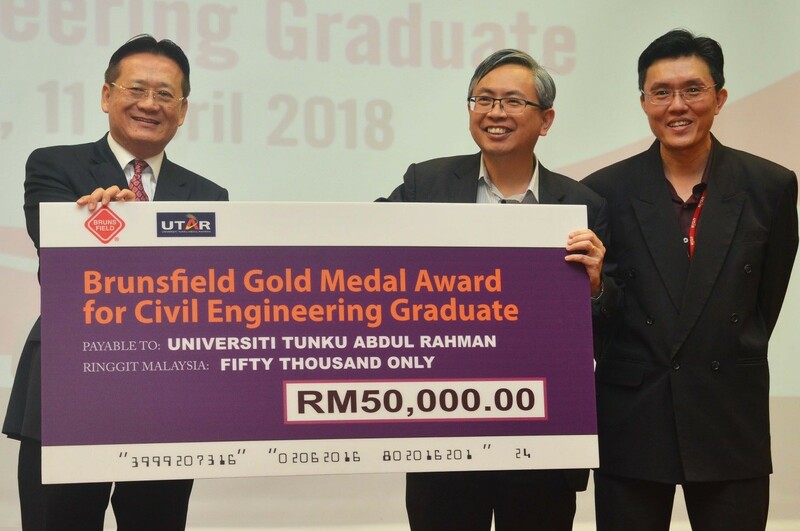 The event also saw the presence of sponsors, judges, UTAR Industry Advisory Panel members, industrial partners, the faculty members and students. 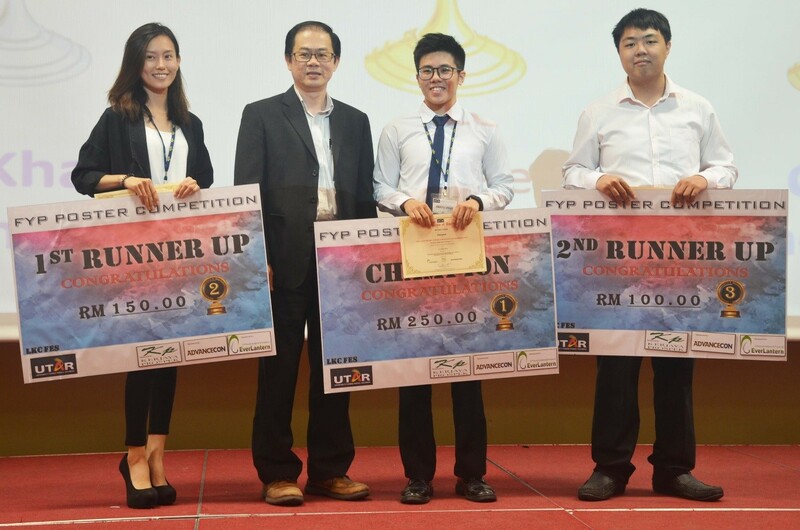 There were eight tracks included in the competition, namely green technology; sustainable development; engineering social sciences; project management; software design and prototypes; theoretical/ experimental sciences; applied mathematics, process automation and simulation; and applied engineering. 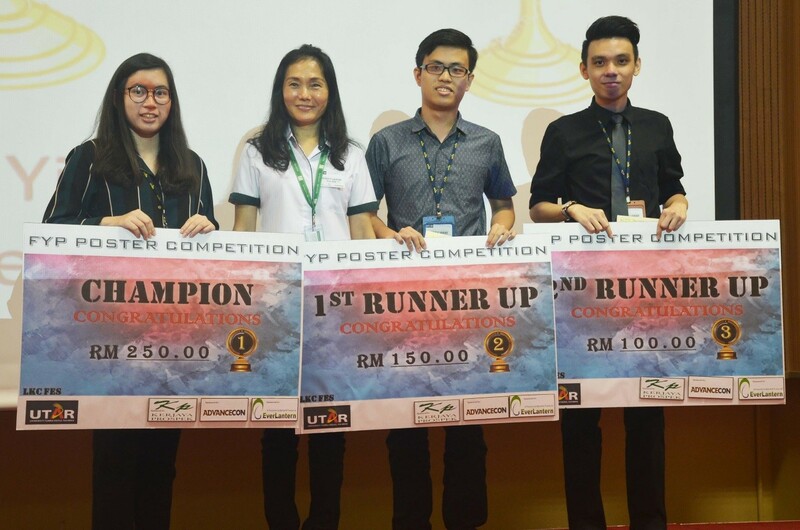 The posters were evaluated according to their respective track. 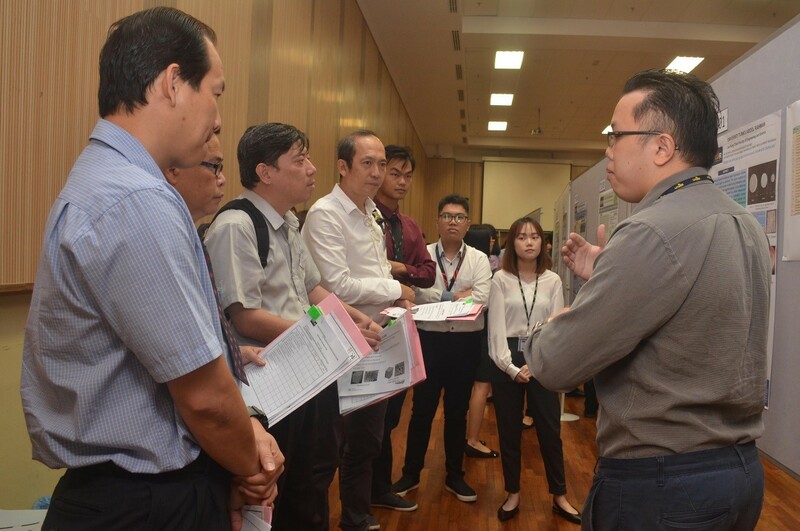 The external judges for the competition were Ng Wai Luen, Director Datin Toh, George Yap, MSIG Insurance (Malaysia) Bhd Vice President Kelvin Hii Chee Yun, Silverlake Symmetry & Technology Research Sdn Bhd Managing Director Chee Hin Kooi, Tenaga Nasional Berhad Chief Risk Officer Datuk Lim Tong Kang, Terato Tech Sdn Bhd CEO/ Founder Reza Fahmi bin Razali, Duriane Consult Managing Director Ir Yau Chau Fong, G&P Professionals Sdn Bhd Managing Director Ir Lee Choy Hin, Galaxy FCT Sdn Bhd Director Albert Ng Kok Foo, Garis Architects Sdn Bhd Director Ar Ngu Ngie Woon, Kombinasi Bijak (M) Sdn Bhd Director Ir Yam Teong Sian, Materialise Sdn Bhd Staff Director/ Human Resource Manager Woo San San, Soliton Digital Sdn Bhd Commercial Director Chua Choon Hoe, McGrill University Emeritus Prof Dr Ooi Boon Teck, Phillip Capital Holdings Sdn Bhd Chief Strategist Phua Lee Kerk, Takaful Ikhlas Berhad Appointed Actuary Kau Kong Hoi, MayAir Manufacturing Sdn Bhd General Manager Lim Sim Pheor, SHE Pillar Leader Asia Oceania Africa (AOA) of Nestle Product Ir Shum Keng Yan, and Starken AAC Talent and Culture Head Sunny Law. 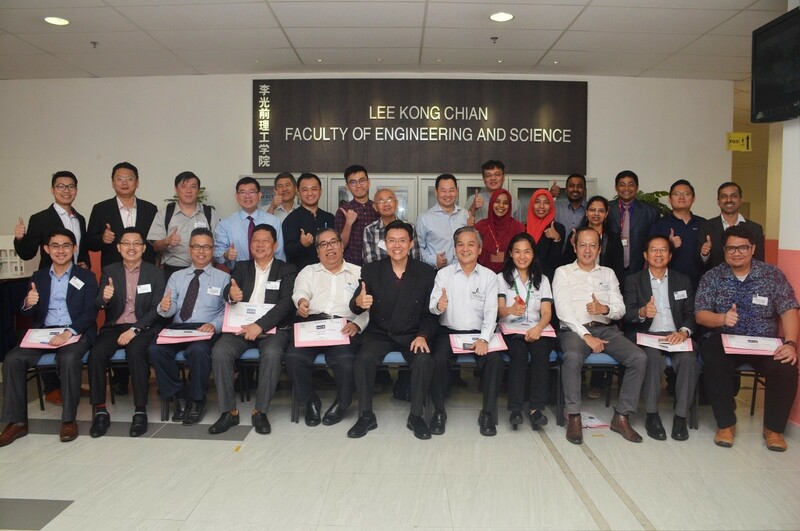 On the other hand, judges from UTAR LKC FES included Centre for Vehicular Technology Chairperson Dr Chew Kuew Wai, Prof Dr Chong Kok Keong, Dr Tan Choon Peng, Ir Dr Low Kaw Sai, Dr Ananthan Valitherm, Dr Goh Yann Ling, Dr Mok Siew Ying, Dr Ng Chai Yan, Dr Rubina Bahar, Dr Sujan Chowdhury, Farizuwana Akma binti Zukifle, Ir Siao Wen Bin, Nur Aqlima binti Ramli, Wong Chim Chwee and Ir Wee Sie Toon. 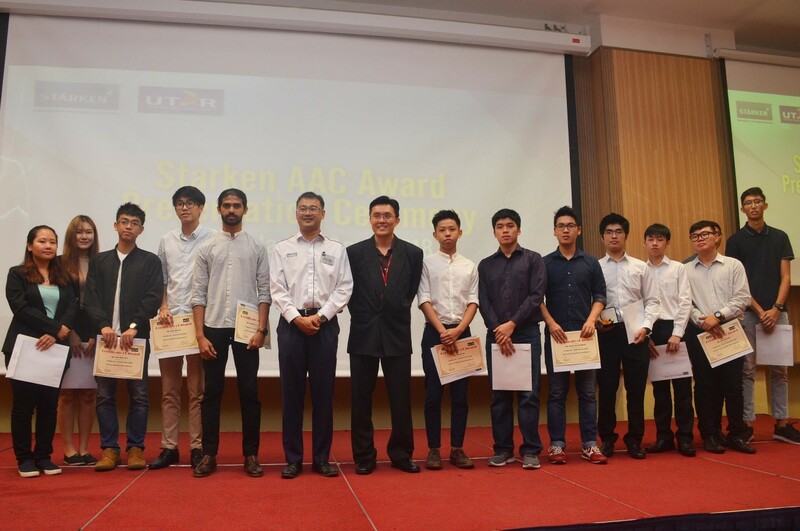 Below are the lists of winners and award recipients of Brunsfield Gold Medal Award, Starken AAC awards, and LKC FES FYP Poster Competition (April 2018). 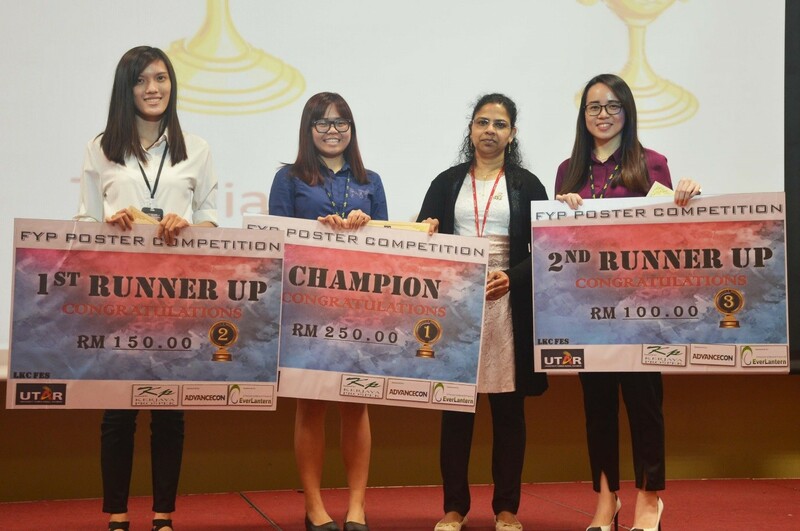 All participants of the FYP poster competition were awarded a certificate of participation.Each track champion was awarded a cash prize of RM250 and a certificate. 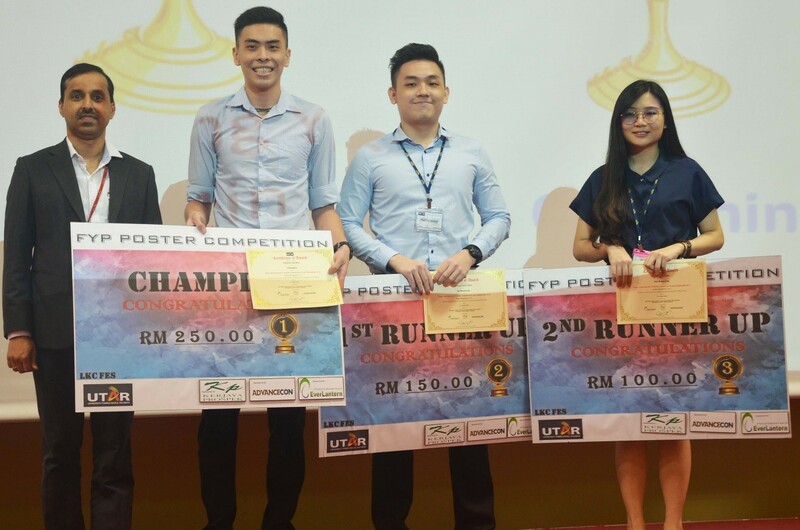 The first runner-up won RM150 and a certificate and second runner-up won a cash prize of RM100 and a certificate. 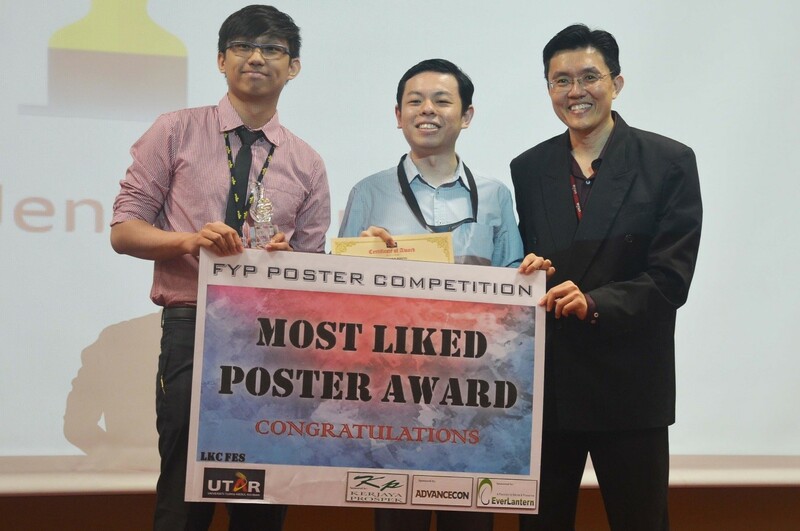 The most liked poster on Facebook was awarded a trophy and a certificate.